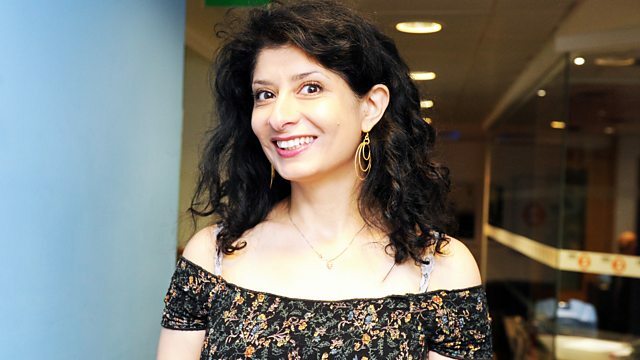 Having an addictive personality, Shappi Khorsandi reveals what it is like being an addict and also chats with Trisha Goddard and comedian Mike Gunn. With music from Duncan Oakley. Shappi Khorsandi looks at a variety of subjects close to her Iranian heart - including History, Politics and, in this programme, Addiction. Having struggled with food disorders, Shappi reveals what it's like to have an addictive personality, but being able to have a laugh along the way. With this insight, she has relaxed chat with TV host Trisha Goddard, someone who has herself experienced addictions throughout her adult life. Comedian Mike Gunn uses his drug experience to wittily debunk a few myths and Duncan Oakley provides a comic song.